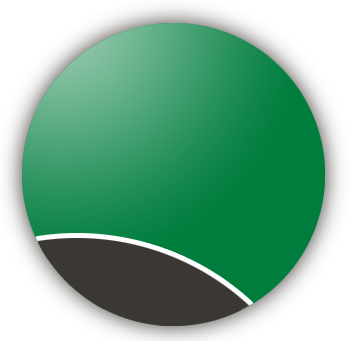 How’s the Spring Texas Real Estate Market doing? 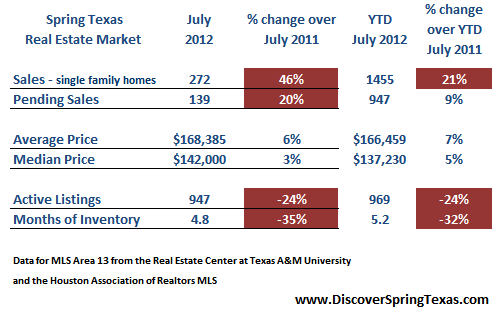 Home sales for the month of July were hotter than the temperatures recording a 46% gain over the same month last year. July home sales weren’t just a blip on the screen as YTD home sales are up 21%. Buyers have a lot less homes to choose from this year than they did last year as listing inventory is down 24%. Listing inventory is down – Are you wondering where all the good Spring Texas houses disappeared to? Listing inventory is down 24% in comparison to the same month last year. Fewer homes to choose from creates an easier decision but sometimes you would like a few more choices. Months of Inventory – Do you feel like every house you call on already has an offer or in some cases multiple offers? Buyers who hesitate in making a decision are finding it harder to purchase a home. An increase in home sales and a decrease in listing inventory has pushed the months of inventory down to below 5 months. Home prices – Average and median YTD prices are recording single digit gains. Real estate is super local as not all Spring Texas subdivisions are experiencing price increases. Days on Market (DOM) – Measured from the date a house is put on the market until the date it goes under contract. DOM helps to answer the question of “How long will it take before my house sells?” and for the month of June the answer was 69 days. Spring Texas homes are going under contract quicker than last July as the days on market was 85 days. Mortgage Interest Rates – Rates on 30-year loans are still at historical lows. Our clients have been locking in interest rates of 3.5% on 30-year fixed rate FHA loans with no origination points. Super close to free money. The data represented is from the Real Estate Center at Texas A&M University and the Houston Association of Realtors MLS for single family existing homes in Area 13. Area 13 covers a large geographic area stretching from I45 to Hwy 249 to Beltway 8 to Spring Cypress.